Belfast Pride is now seeking your submissions for ‘Coming Out’, a limited-run pamphlet celebrating original, queer poetry in Belfast. 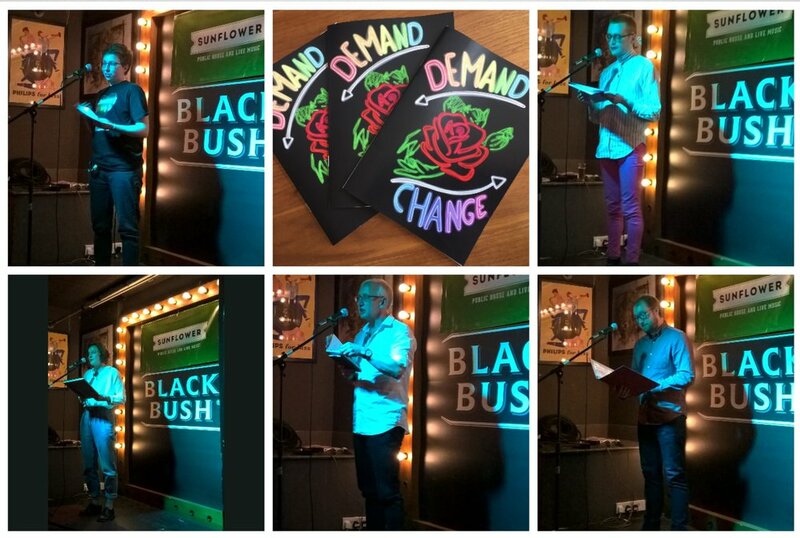 We want to build on the success of ‘Demand Change’ last year – we held an evening of poetry readings from some of the best and brightest of Belfast’s LGBT+ poets to a full house at the Sunflower and sold out our pamphlet of original LGBT poetry and earned a GALAS Awards nomination for Arts and Literature for organiser, Toby Buckley. The event will be back this year on Wednesday 1st August in The MAC and we are preparing the pamphlet now. We’re especially eager to publish poetry by members of the LGBT+ community in Belfast and Northern Ireland, but submissions are open to everyone. The pamphlet will be available for purchase at Poetry with Pride on the 1st August, with remaining copies available through Belfast Pride. All profits will go towards poetry events at Belfast Pride Festival 2019! Submission Guidelines: Poems to be no longer than 30 lines, with a maximum of three poems per submission. Deadline for submissions: 22nd July 2018.
and just get in touch with any questions. Submissions are now open for Issue #4!